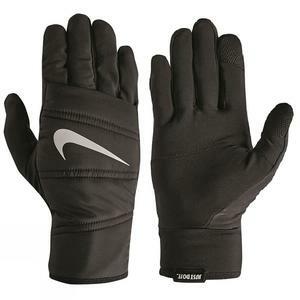 The Nike Men's Quilted Run Gloves 2.0 meet all your essential needs for cold weather runs. It pairs a thin Dri-FIT liner with an insulated back of hand for warmth and comfort. In addition, a touchscreen compatible thumb and index fingers allow the use of your phone, while added grip on the palms prevents it from slipping.